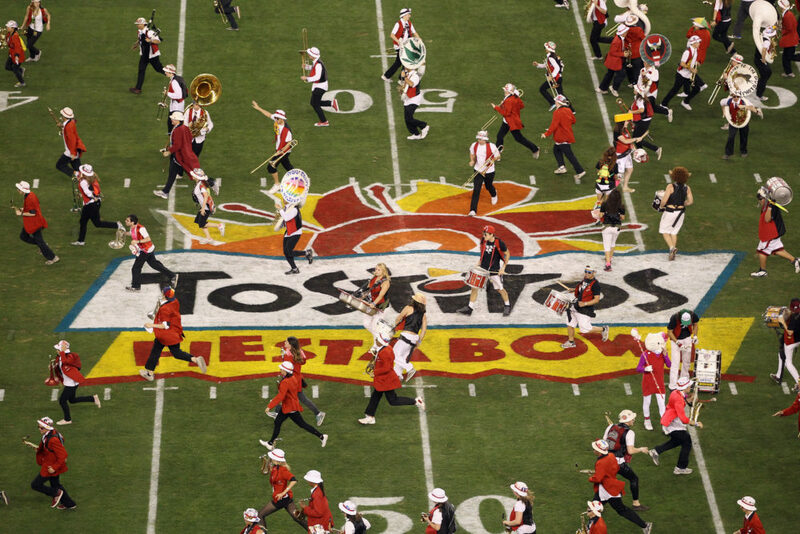 The Stanford marching band is not your typical college band. Their normal uniforms are red sports coats and white fishing hats. But for the team’s big rivalry game with Cal, band members turn out in full costume: Canadian bobsledders, Harry Potter characters — you name it. But former band director Dr. Arthur Barnes will tell you that’s not the only thing that sets the Stanford band apart. "We don’t march. We scatter," he says. Barnes started as the Stanford Band director in 1963. "The style of the band before I arrived was quite military — with military uniforms, straight lines marching," Barnes says. "It seemed that a change was very necessary to be different from ’SC, UCLA and Cal. And so I decided to form the largest rock ‘n’ roll band in college history." Under Dr. Barnes, the band grew to 174 members. They began sprinting onto the field and into loose formations during their shows. And they often taunted their opponents. Barnes’ band received lots of attention. But not always for the best reasons. "The band has been in hot water a lot of places," says Joe Starkey, the former sports director of KGO radio in San Francisco. "There are places literally they can’t go back to," Starkey says. "They’re absolutely banned from going back to Notre Dame. And, frankly, they should be. Their stuff got just plain nasty." The incident he's talking about took place in 1991, when the drum major dressed up as a nun and conducted the band using a wooden cross to taunt the Catholic university. In 2004, the band made national news after it mocked Mormons during a halftime show at BYU. But the incident that the band is arguably most infamous for is also a major moment in sports history. The year was 1982. The place: Memorial Stadium in Berkeley. Joe Starkey was the broadcaster for the California Golden Bears. It was the 85th playing of the Big Game: the annual showdown between rivals Cal and Stanford. 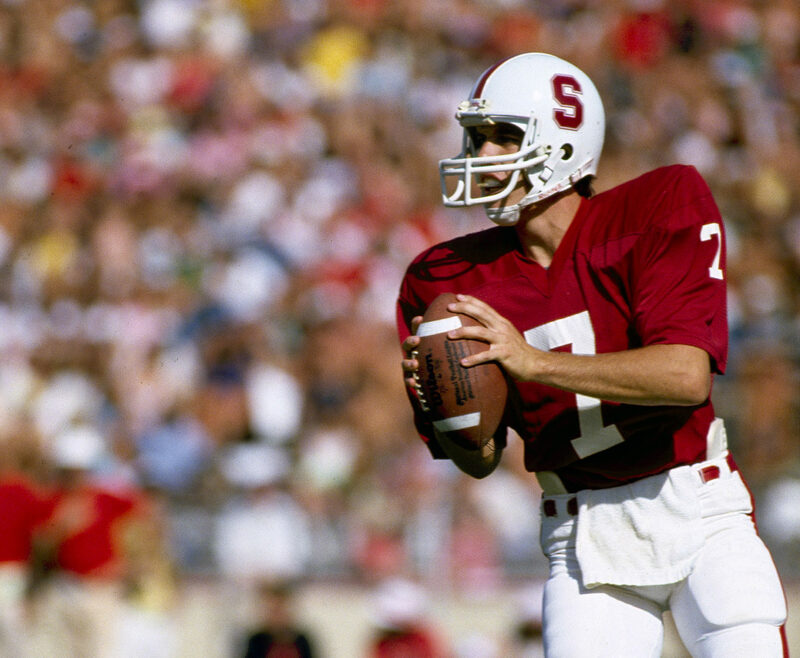 Stanford was looking down for the count ... until Stanford quarterback John Elway led his team on a heroic, last-minute drive. "Stanford takes the lead 20–19, but there are four seconds left on the clock," remembers Gary Tyrrell, the leader of the Stanford band’s trombone section. "Everything is great," Tyrrell says. "All we have to do is run out these last four seconds on the clock. During this time, this final series, the Stanford band had started to edge down to field level to get ready for our post-game concert." Cal had one timeout left and one last chance for a comeback. "As I remember it — and I experienced it at the time — it seemed like it was all slow motion," Barnes says. After receiving the kickoff, Cal didn't try to go out of bounds. Instead, with no time left on the clock, the Bears lateraled the football around like a hot potato as they moved up the field. Thinking the game was over, Gary Tyrrell and the band had moseyed onto the field as Cal player Kevin Moan received the final lateral. "Out of the corner of my eye I saw this Cal player running through the end zone," Tyrrell says. "Figured he just probably wanted to get the heck out of there. But he had the ball. And the next thing I knew I was down." The scene was an absolute mess. "There were so many people on the field as the band came out, and the players kind of came together in so many different ways," Tyrrell says. "It was almost impossible to tell who had the ball." "So Moan runs over Gary Tyrrell, the trombone player, who has, by the way, become immortalized by being run over," Starkey says. 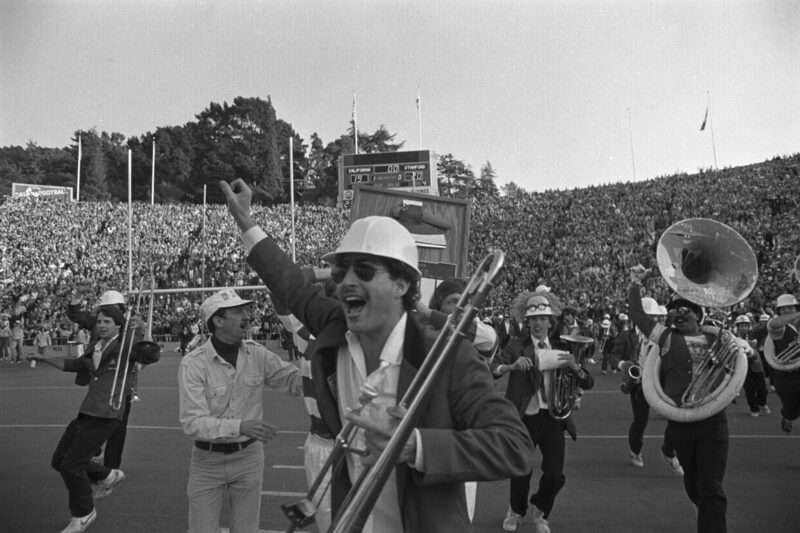 Gary and his trombone were barreled over as players ran through, over and around members of the Stanford band. Even with Tyrrell laid out on the ground, the Bears were celebrating, having pulled off the unthinkable. "Since then, there have been a lot of games where somebody on a lateral won a football game by coming back in that kind of a play," Starkey says. "But nobody has ever done it when a band is on the field. So I don’t know how you ever top that. I really don’t." In that moment, the Cal Bears and Joe Starkey cemented themselves in history — but Gary Tyrrell and the Stanford band did, too. "That is a pretty silly way to become infamous," Tyrrell says. The band was noticeably absent from the 2016 Big Game after a school investigation revealed issues like drinking and hazing. Stanford banned them from traveling to all away games for the academic year. The band also hired a new director, who, among other responsibilities, is tasked with changing the band’s culture to avoid future sanctions. Now, the Stanford band is back — but don’t expect them to start marching in line. Dr. Arthur Barnes, the man who shaped the band into what it is today, wouldn’t have it any other way. "There are people my age who come up to me and say, ‘Can’t you do something about that band?’ " Barnes says. "And I say, ‘Yeah, I did it in 1963 — I made it a rock ‘n’ roll band.’ "
An earlier version of this story aired on KALW's Crosscurrents in February 2018.